I don't know if I am logged into the app store or not. Is there a way to check and see if you are or not? 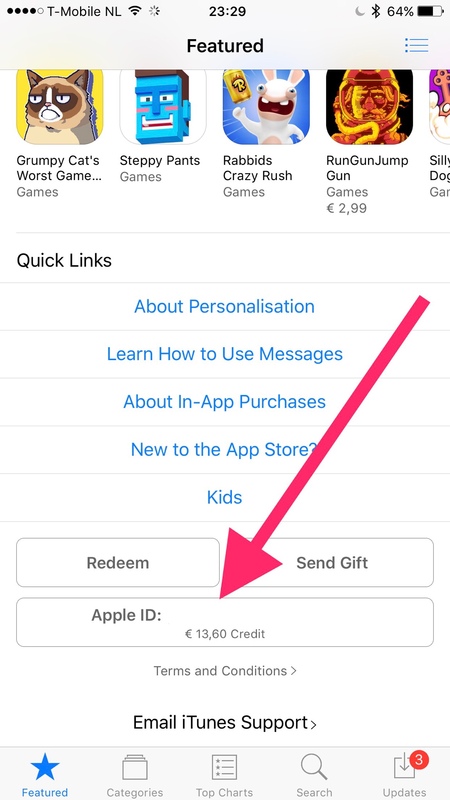 If you're logged in to AppStore, your email should appear at the bottom of the featured tab, where the arrow points at. Last edited by Tartarus; 03-21-2017 at 06:08 AM. Best Smart Jewelry: High tech rings, necklaces and more!